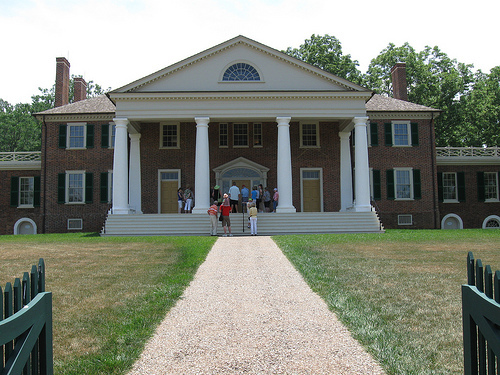 The first time we visited Monticello on a Lewis & Clark research trip, we wanted to pay a visit as well to Montpelier, the equally grand home of James Madison and his fabulous wife Dolley. At that time, the home was closed for an extremely extensive renovation. But on our most recent trip to Virginia, the home had reopened, providing a fascinating, multi-faceted look at the “Father of the Constitution” and a terrific example of historical restoration. 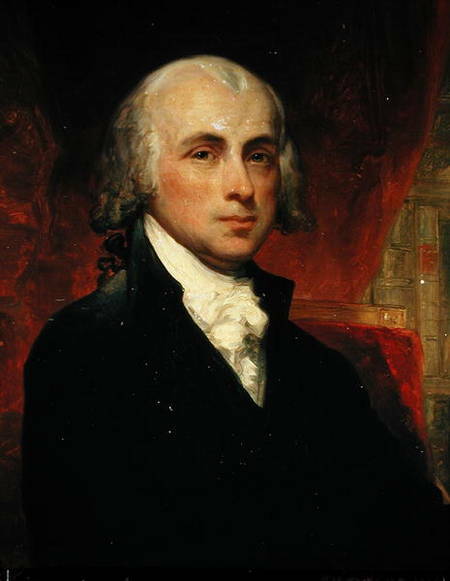 James Madison’s career is inexorably intertwined with that of his mentor, Thomas Jefferson. Over the years, Madison, who was eight years younger than Jefferson, became much more than a protege to the “Sage of Monticello.” He became a close personal friend and a political alter ego, often using his calm insight and deep understanding of government to save Jefferson from his own more radical tendencies. When he became president in 1801, Jefferson named Madison as his Secretary of State, with a standing if secret order to be on the lookout for additional territory into which the new nation could expand. Jefferson already foresaw that the United States would dominate the North American continent, though he believed the expansion would take several centuries rather than mere decades. Nonetheless he was ready to get started, with his top priority being the purchase of New Orleans from the French, which would give Americans much better access to the world’s sea lanes. As detailed in our earlier post on James Monroe (Lewis & Clark road trip: Ashlawn-Highland), what began as a negotiation with Napoleon’s government for New Orleans turned into the fire sale of the Louisiana Territory to the United States for $15 million — over one million square miles of land. The Louisiana Purchase gave Jefferson legal cover to fulfill a dream he had harbored for decades: to send explorers west on a scientific and diplomatic mission to discover and map the western part of the continent and negotiate alliances with the Indians that would give America entree into the world fur trade and access to the Pacific Ocean. Indeed, whatever Jefferson’s critics then and now might care to say about him, you certainly couldn’t accuse him of thinking small. As Jefferson personally oversaw the preparations of Meriwether Lewis and William Clark for the Expedition, Madison had little involvement with the launch of the historic exploration. In fact, his wife Dolley took a more active role. As her niece Mary E.E. Cutts later recalled, Dolley had a huge heart, and believed that Lewis & Clark “could never could return from that land of savages.” Determined to supplement the miserly congressional appropriation of $2500 for equipment, she organized the ladies of Washington and conducted a fundraiser to provide the Expedition with sack cloth, candle wax, lamps and lamp oil, cooking spices, canned goods, dried goods, writing materials, clothing, and silver cooking utensils. In pursuance of this resolution we called the S. W. fork, that which we meant to ascend, Jefferson’s River in honor of 〈that illustrious personage〉 Thomas Jefferson. the Middle fork we called Madison’s River in honor of James Madison, and the S. E. Fork we called Gallitin’s River in honor of Albert Gallitin [Albert Gallatin, the Secretary of the Treasury]. the two first are 90 yards wide and the last is 70 yards. all of them run with great valocity and thow out large bodies of water. Gallitin’s River is reather more rapid than either of the others, is not quite as deep but from all appearances may be navigated to a considerable distance. Capt. C. who came down Madison’s river yesterday and has also seen Jefferson’s some distance thinks Madison’s reather the most rapid, but it is not as much so by any means as Gallitan’s. 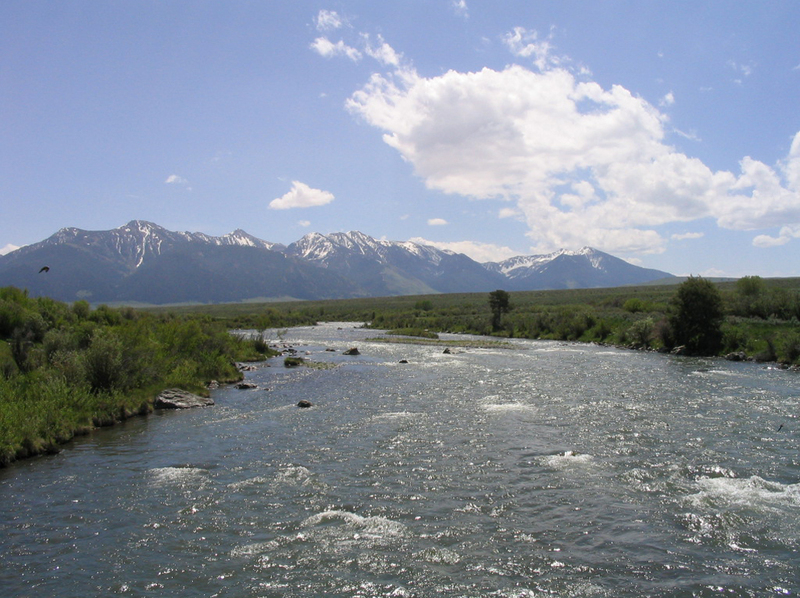 The Madison River in Montana. Courtesy Montana Department of Natural Resources and Conservation. The most fascinating part for me of visiting Montpelier was learning about the home’s incredible restoration. The Madisons lived an opulent and genteel lifestyle with over 100 slaves, but following James’ death in 1836, Dolley fell on hard times. Her only son, Payne Todd, was an alcoholic wastrel who had spent time in debtor’s prison. Dolley had already put up the mansion as collateral to pay Payne’s debts. She lost everything, and was forced to depend on friends for their kindness until her death in 1849 at the age of 81. After going through several owners, the house was acquired in 1901 by the duPont family, which remodeled it beyond recognition and used the property for their competitive equestrian pursuits. When Marion duPont Scott died in 1983, she donated the house to the National Trust for Historic Preservation along with the money to restore it to the Madison era. After a protracted court battle with several heirs, the work began in 2003. The architects were surprised and delighted to find that some 80% of the original Madison home was intact beneath the duPont renovations. The structural renovation was completed in 2008 and work is underway to restore the interior to the appearance it would have had in Madison’s day. We had a wonderful time in the home and gardens, along with a great lunch in the cafe. Montpelier is a very enjoyable stop for any history buff and illuminates a very human side of one of the Founding Fathers and his unforgettable wife. The last years of Thomas Jefferson’s life were plagued by terrible financial problems. Perpetually in debt because of his loose spending habits and the never-ending construction at Monticello, Jefferson also suffered from lower-than-expected income from the crops he produced on his various plantations. 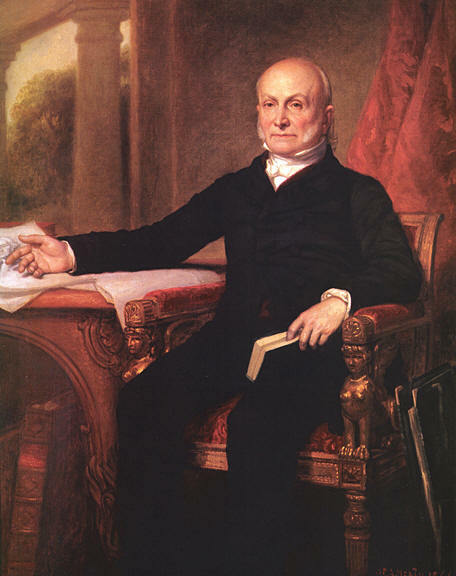 But the ultimate ruinous blow came from an unexpected source: Jefferson’s friend Wilson Cary Nicholas, a former senator and governor of Virginia and president of the Richmond branch of the Bank of the United States. Jefferson’s involvement with Nicholas would lead to the loss of everything. In the fall of 1817, Jefferson asked to borrow $6000 from the Bank of the United States, and Nicholas gladly co-signed two separate notes of $3000 each. Six months later, Nicholas asked Jefferson to return the favor and be co-signer on a loan for him – this time two notes of $10,000 each, for the total sum of $20,000. He assured Jefferson that he was worth at least $350,000 and would easily be able to repay the notes, to come due in the fall of 1819. 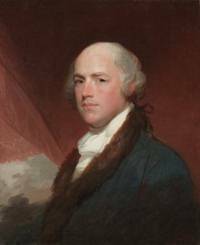 Nicholas had been a close friend and political supporter of Jefferson’s for years. 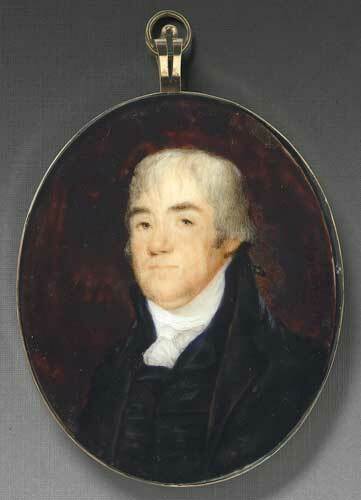 Jefferson’s beloved grandson Jeff Randolph was married to Nicholas’s daughter. With no reason to doubt Nicholas’s solvency, Jefferson signed the papers “in utter confidence” and the loans were approved. He seems not to have given the matter much thought. Fast-forward to August 1819, when Jefferson received a letter in the mail from Nicholas. Something had gone terribly wrong. Despite his earlier assurances, Nicholas confessed to Jefferson that he had been not been able to keep up with his loan payments. The bank had investigated and found that Nicholas was far from solvent – in fact, rash speculation in western lands had put Nicholas $200,000 in debt. They were calling in the loan. Jefferson realized immediately that if Nicholas went bankrupt, as co-signer of the loan, he was now on the hook to pay back the money. “He said very little,” Jefferson’s granddaughter wrote, “but his countenance expressed a great deal.” Unfortunately, Jefferson’s next action made a bad situation worse. He asked the bank to extend the term of the loan for a full year, and offered to bring in another co-signer—to whom he would deed land worth $20,000—to help guarantee the loan. 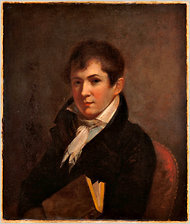 The second co-signer was Nicholas’s son-in-law and Jefferson’s grandson, Jeff Randolph. Wilson Cary Nicholas’s unexpected death on October 10, 1820, plunged the Jefferson family into an unfathomable financial disaster. In the days before Chapter 11 and other bankruptcy protection laws, the family stood to lose everything. There was no way Jefferson could pay back $20,000 plus interest – about the equivalent of four years of earnings on his farms. But if he defaulted or died – he was then 77 years old – the debt would pass to his grandson, saddling him with a crushing liability. Desperate, Jefferson conceived of a plan for the family’s salvation that came to him “like an inspiration the realms of bliss,” according to his daughter Martha Randolph. The family could sponsor its own public lottery, selling tickets and offering as a prize some of Jefferson’s farmland that his obligations to the bank left him unable to sell. Jefferson hoped to raise $60,000 from the public raffle, enough to pay off the debts, secure the family’s immediate future, and live comfortably for the remainder of his life. Jefferson even had secret hopes that the Virginia state government would buy all the tickets and burn them in a great patriotic bonfire, allowing him to keep both the land and the money. All he needed was approval from the Virginia legislature. In February 1826, the Virginia legislature relented and approved the lottery bill—but with important and chilling alterations. The farmland being offered as a prize would have to be independently appraised to make sure the $60,000 raised did not exceed the value of the prize – which it most certainly did. Therefore, the land prize would not be enough to get the lottery approved. 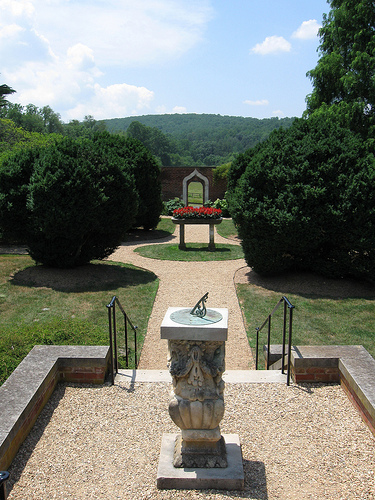 A more attractive prize must be offered – Monticello itself. 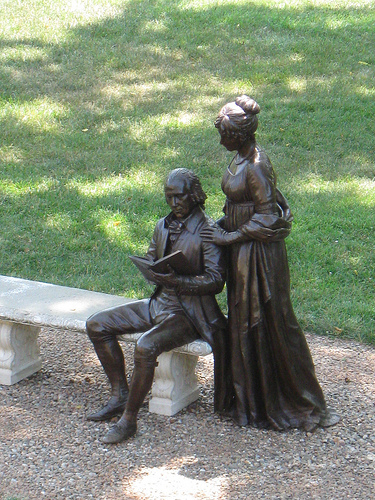 As a generous concession, the bill would allow Jefferson and Martha to remain in the house for the rest of their lives. The thought of losing the home was unbearable. Due to the family’s dire financial straits, Monticello was already suffering from lack of upkeep. When the public learned of Jefferson’s plight, many people began to raise money outright and donate it to the Jefferson family. Though touched by these patriotic gestures, Jefferson tried to discourage them because he feared it would divert attention and money from the lottery. Unfortunately, interest in the lottery quickly waned after Jefferson’s death, and the idea was abandoned. 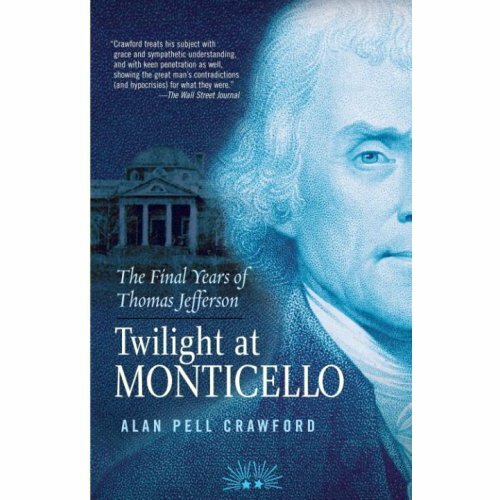 In July 1828, after laboring heroically for years to save the family from his grandfather’s debts, Jeff Randolph put Monticello up for sale. By the time he finally found a buyer three years later, the mansion was decrepit, dilapidated and a shadow of its former self. The new owner was a druggist from Charlottesville, who purchased the mansion and grounds for $7000, about half of the asking price. One of the most humorous incidents in the aftermath of the Lewis and Clark Expedition was poetical rather than political. In those days, political disagreements were fought out in newspapers affiliated with the rival parties, often by anonymous correspondents. While those newspapers affiliated with President Jefferson trumpeted the return of the Lewis and Clark expedition in September 1806 and heaped praise on the homecoming heroes, not everyone was impressed, and some even resorted to barbed satire. An epic poem produced by Joel Barlow to commemorate Meriwether Lewis’s achievement proved an irresistible target. Barlow was a Republican politician, diplomat and writer whose claim to fame was producing bombastic poetry extolling the glory of the young American nation. Barlow was best know for his epic poem, The Vision of Columbus: a poem in nine books, which was published in 1787, thanks to subscriptions he had received from people as distinguished as King Louis XVI of France, the Marquis de Lafayette, and George Washington. This 250-page monster not only praised Christopher Columbus, but provided an entire landscape of America –political, social, and geographic – and instructed its citizens on how best to appreciate their country. In 1807, Barlow had returned to this theme, this time with a 10-volume poem called The Columbiad, an epic vision of the rise of freedom in the New World. Historian Albert Furtwangler put it diplomatically when he said, “In the view of most critics, then and later, [Barlow’s] talents for poetry could not sustain a serious epic.” Although sensational at the time, Barlow’s verse is painful to modern eyes. His poem about the Lewis and Clark Expedition, “On the Discoveries of Captain Lewis,” is no exception. Penned for a homecoming dinner party to be held in Lewis’s honor in Washington, D.C. on January 14, 1807, the poem is full of hyperbole, mixed metaphors, and just plain awful verse. The premise of the poem is Christopher Columbus looking down from heaven and praising Lewis as the hope of a new millennium for the United States. Apologies to our readers, but I cannot resist including the whole of it here. By plunging or changing his clime. Streams, midlands, and shorelands elude us in vain. We shall drag their dark regions to light. And surge the broad waves to the pole. And gives the proud earth a new zone. And tamed the last tide of the west. Who taught him his path to the sea. And their wealth and their wisdom expand. Shall settle the storms of the world. Barlow’s poem was hailed at the dinner and was reprinted widely in the American press. It is worth noting that the verse in the poem that attracted the most attention was the last one. 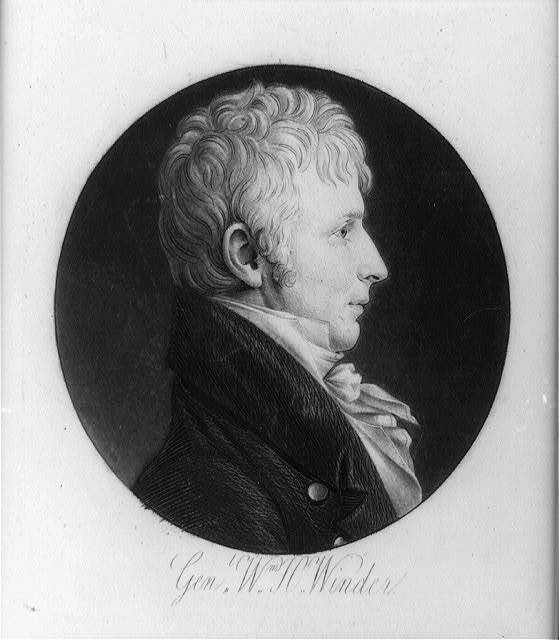 Barlow was suggesting that the “occident stream” – the Columbia River – be renamed in honor of Meriwether Lewis. Adam’s poem was set to the tune of Yankee Doodle. 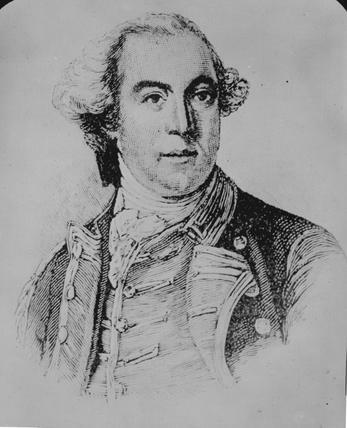 Adams said in a preface to the poem, “Our intention is not to deprecate the merits of Captain Lewis’s publick services. We think highly of the spirit and judgment, with which he has executed the duty undertaken by him, and we rejoice at the rewards bestowed by congress upon him and his companions.” Nevertheless, the poem begins by poking fun at the supposed scientific achievements of the expedition and points out everything that Lewis didn’t discover. He journied, all the way by land, Until he met the ocean. And never meet a foe, yet save His person and his goods, sir! But I shall only now disclose The things he did not find, sir. He never could o’ertake the hog With navel on his back, sir. To season his adventures, met A Mountain, sous’d in pickle. They knew their courses, all, as well Before he came as after. And must we then resign the hope These Elements of changing? The Captain could discover nought But Water in the Fountains? Must Forests still be form’d of Trees? Of rugged Rocks the Mountains? We never will be so fubb’d off, As sure as I’m a sinner! And if we cannot alter things, By G–, we’ll change their names, sir! The poem then takes aim at Barlow’s suggestion that the Columbia River be renamed in honor of Lewis, suggesting that Jefferson’s mistress Dusky Sally, Joel Barlow, and even the United States itself should get a new name. The poem ends with a dig at Jefferson and Barlow, suggesting that since the Republicans couldn’t bring about a French-style Reign of Terror, they are going to undermine the Constitution by confusing everyone with a Babel of names. For what is old Discovery Compar’d to that which new is? Strike-strike Columbia river out, And put in – river Lewis! And Joel call the Prairie-dog, Which once was call’d a Skunk, sir. Our first-rate-ship United States, The flying frigate Fredon. And bring a Babel back of names – Huzzah! for REVOLUTION! Federalists got a good laugh out of Adams’ poem, but fortunately for the future of American letters, the poetical war of words ended here. The merits of the expedition continued to be a matter of public debate, with Jefferson partisans hailing Lewis’s scientific and anthropologic discoveries, and Federalists complaining that the expedition was an expensive and unproductive boondoggle. Although the Lewis and Clark Expedition seems tailor-made for an epic poem about the American experience, no other poet attempted it. The journals have to speak for themselves. More interesting reading: Lewis and Clark Return to Heroes’ Welcome — or Do They? 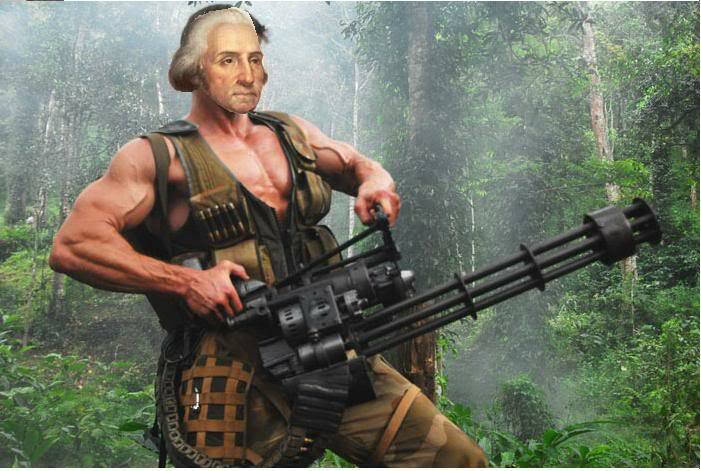 When it comes to political scandal, “Weiner-gate” has nothing on the Founding Fathers. Today marks the 207th anniversary of the death of former Treasury Secretary Alexander Hamilton, one day after he was mortally wounded in a duel with Vice President Aaron Burr. 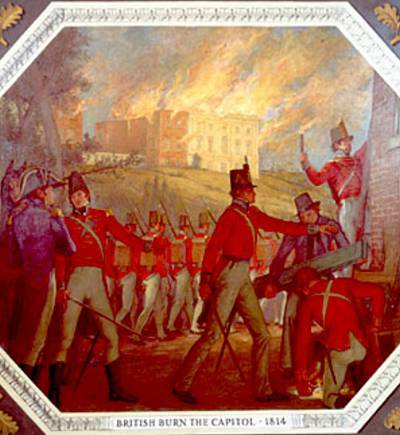 Hamilton’s violent death on July 12, 1804 stunned that nation. 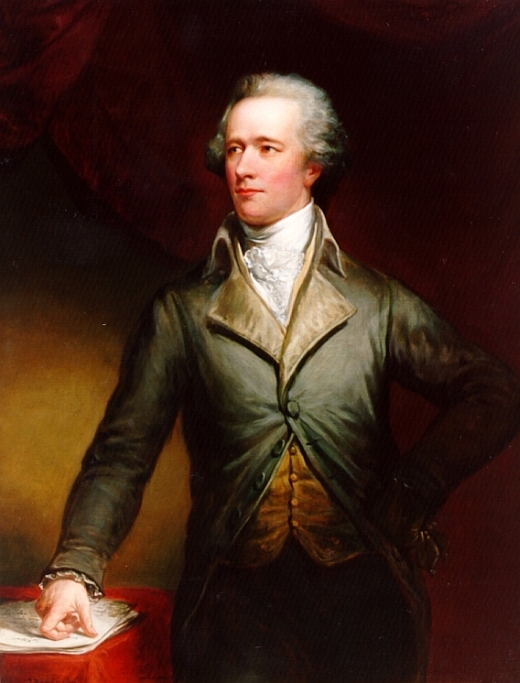 A longtime political enemy of Burr’s, Hamilton had worked against Burr in the presidential election of 1800 and had recently helped ensure Burr’s defeat in the New York gubernatorial election of 1804. Despite attempts of friends to avert a duel, the two men met on July 11, 1804, along the west bank of the Hudson River, on a rocky ledge in Weehawken, New Jersey. The exact sequence of events is disputed. What is known is that Aaron Burr walked away and moved on to other schemes. Hamilton – former Treasury Secretary, co-author of The Federalist Papers, one of the most brilliant architects of American democracy – lay dying on the ground, gut-shot. The story of Hamilton’s life and death still has the power to stop us in our tracks. I invite you to watch this brilliant rap by Broadway star Lin-Manuel Miranda, performed at the White House on November 2, 2009. It’s told from the point of view of Aaron Burr. Watch and enjoy. 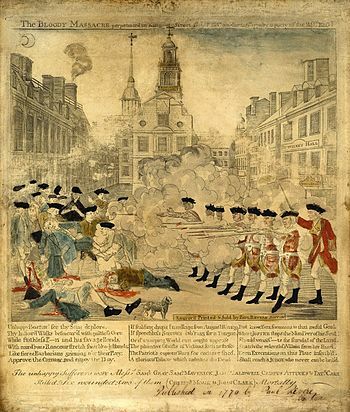 The beatings and thrashings continued as George Mason, James Monroe and 66 other early Americans unleashed their anger on the terrorist leader. I’ve been on a Thomas Jefferson kick lately. There’s so much to learn and try to understand about this fascinating, enigmatic, and contradictory man. I just finished reading Flight from Monticello by Michael Kranish and really, I cannot recommend it highly enough. Kranish tells a story that was almost entirely unknown to me: the story of Jefferson as the wartime governor of Virginia. 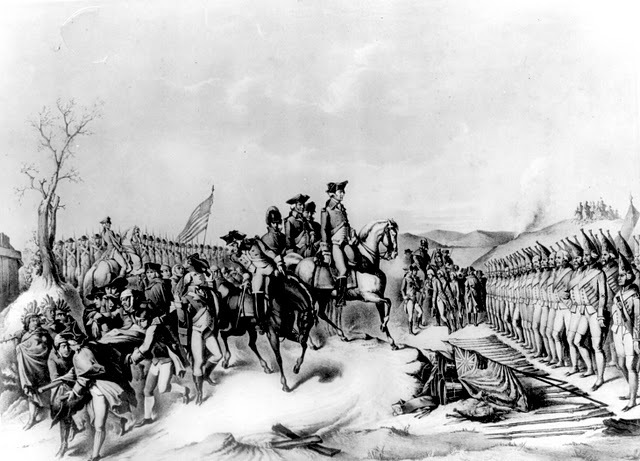 In 1781, the British, led by the traitor Benedict Arnold, mounted a major invasion of the state, and one objective was clear: Get Thomas Jefferson. How Jefferson escaped, how and why the British overran the state, and how they were stopped at Yorktown make for truly delightful reading. This is a book worth savoring for its many untold stories. One of the most astonishing concerned the aftermath of the stunning American victory at Saratoga, New York, in 1777. 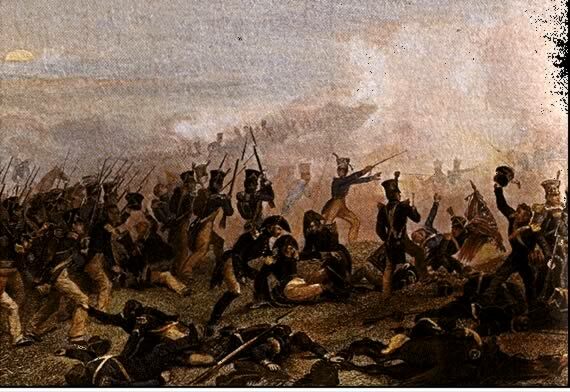 As a result of the victory, the Americans had taken prisoner over 5000 British and Hessian (German mercenary) troops. In those days, it was generally a tradition to “parole” prisoners of war on the condition that they promise never to take up arms in the conflict again. But after about 1000 prisoners were released to Canada, Congress realized that the chances of the British honoring such a ban were practically nil. Congressional representatives from Virginia made an audacious proposal. They suggested that Virginia would build a sprawling prisoner-of-war camp near Charlottesville, home of Thomas Jefferson, the author of the Declaration of Independence. Jefferson and others believed that housing thousands of enemy soldiers would result in a bonanza of federal money into the area. In addition, the soldiers would buy local goods, and craftsmen among the prisoners could be put to work on local plantations. Jefferson, a fine violinist who was ever restless about the lack of cultural peers in Virginia, also voiced the hope that some fine musicians among the Hessian officers might be willing to play with him. The prisoners reached Charlottesville in January 1779 after a grueling winter march from their previous barracks in Boston. As one Hessian officer wrote, “Never have I seen men so discouraged and in such despair as ours, when, tired and worn out from the long trip and the hardships, they had to seek shelter in the woods like wild animals.” But before long, the crude, leaking shelters known as “Albemarle Barracks” became home to some 4000 men — making the encampment the largest “city” in Virginia, nearly twice as large as the capital at Williamsburg. Jefferson was worried about the scandalous conditions, which soon prompted calls to move the barracks away from Charlottesville. He estimated that the POW camp was pumping about $30,000 a week into the local economy (well over $300,000 a week in current dollars). As spring arrived, conditions improved, mostly due to the efforts of the prisoners themselves, who fixed up the barracks, planted gardens, began to raise livestock, and constructed their own store, coffeehouse, church, tavern complete with a billiard table, and a theater with a sign reading “Who would have expected all this here?” A number of the German prisoners simply walked away from the prison to intermarry with local girls or move out west to begin new lives. William Phillips (1731-1781). Phillips died during the invasion of Virginia and is buried in Petersburg, Virginia. Jefferson called him "the proudest man of the proudest nation on earth." Meanwhile, thanks in part to Jefferson’s lobbying, the officers were permitted to rent some of the best homes in Charlottesville for their lodging. Jefferson soon became close with Brigadier General William Phillips, a stout and ruthless artillerist, and Baron Frederick von Riedesel, the Hessian commander. Riedesel was even joined at the mountainside estate of Colle by his three daughters and his statuesesque wife, who shocked Charlottesville society by riding her horse astride. Music formed the foundation of friendship between Jefferson and the Hessians. Before long, just as Jefferson had dreamed, he was playing duets with a Hessian violinist, while Mrs. Jefferson played the pianoforte and the Baroness led dances. Apparently, Jefferson saw nothing disturbing in forming close friendships with officers who had led brutal charges against American soldiers. He also apparently thought nothing of the intimacy with which the British and Hessians were coming to know the rivers and roads around Charlottesville, even allowing Phillips and Riedesel to leave Charlottesville to travel to Berkeley Springs, 134 miles further into the interior of the state, to visit a health resort. 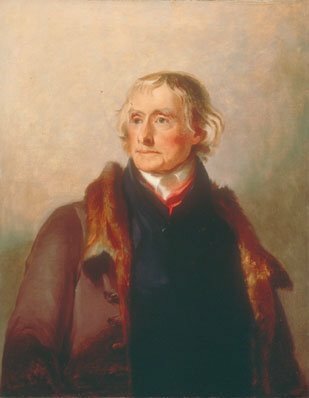 In the summer of 1779, Jefferson became governor of wartime Virginia and had to leave Charlottesville for the seat of government in Williamsburg. Not long after taking office, he received a furious letter from George Washington, commander of the Continental Army, demanding to know why hundreds of British and Hessian prisoners were simply packing their bags and walking away from the lightly-guarded camp in Charlottesville. Though embarrassed, Jefferson was convinced Phillips and Riedesel knew nothing of the escapes. Later in the year, the two officers were exchanged for American prisoners. Riedesel and his family ended up in Canada, where the Baron served as a senior military official. As for Phillips, Jefferson looked forward to socializing with him again in times of peace. And Phillips would indeed return to Virginia: as commanding officer of a force of 4500 with orders to invade the state and take Thomas Jefferson prisoner. 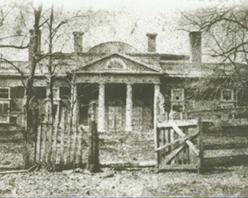 Albemarle Barracks was belatedly closed by Governor Jefferson in the fall of 1780, as the state lay open to invasion. The remaining prisoners were marching north to Fort Frederick, Maryland, where they were held until the end of war. As in Charlottesville, a number of the Hessians remained behind and settled in the United States. Flight from Monticello tells a story that is complex, fascinating, and at times even funny. This is a must-read book for any history lover!